You must be a member of the Gothenburg Indoor Games Group to attend this activity. Would you like to join this group? Let's be in prison together and escape together! "What if you were locked behind bars in a prison cell? Had you managed to run out of time or stopped locked forever? 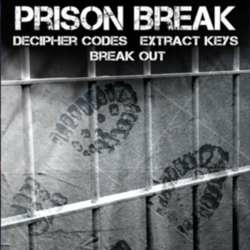 In Prison Break you have to crack codes to get out. You may also succeed in getting help from the corrupt prison guard. But be careful how you spend your precious time locked up, do a crime you haven't committed." I'm using my Finnish number still, so please contact me through WhatsApp. We will have 20min to pay and socialize a bit before being locked up. This would be fun! Please if you change your mind tick off your name from the attendees.